Home › Uncategorized › Sen. Reid Dealing a Bad Flop on Internet Texas Holdem Regulation? 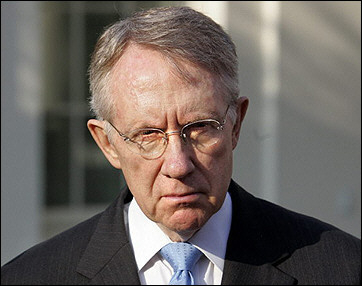 Sen. Reid Dealing a Bad Flop on Internet Texas Holdem Regulation? During the 2014 election year, Senate Minority Leader Harry Reid [D-NV] was labeled one of the favorite politicians of the US internet poker community. He and Sen. Jon Kyl [R-AZ] undertook the task of scripting a bill to regulate online Texas Holdem games. Now, with his time in office coming to an end, Sen. Reid may be dealing a bad flop to his constituents. The Reid/Kyl bill wasn’t looked upon favorably by all. It was a federal measure designed to ban online casino gambling, while carving out a niche for the legalization of Texas Holdem games played for real money over the internet. While it would have provided a path to regulating the poker games so many Americans love, the land-based gambling industry would miss out on the much higher rate of revenue generated by online casino-style games like slots, blackjack and roulette. I’m reminded of the myriad criminal cases throughout time in which a relationship falls apart, only to see one murder the other because ‘If I can’t have him/her, no one can’. A bit too dramatic of a comparison, perhaps, but fitting nonetheless. Why Reid would suddenly flop on his previous views of online Texas Holdem is unknown, and the way he’s going about it – should he make up his mind in that directing – is even more mysterious. Reid’s intentions first came into question last year when it became obvious that Sheldon Adelson was hoping to squeeze the Restoration of America’s Wire Act (RAWA) – a bill heavily funded by the Las Vegas Sands CEO’s personal pocketbook to ban all forms of internet gambling in the US – through the lame duck session. Garnering the favor of Reid would have been a dream come true for Adelson. Reid convinces the lame duckies to pass RAWA, and in return Adelson backs Reid’s re-election campaign with unlimited coinage. But it didn’t happen that way. In fact, at 75 years of age, Harry Reid made it clear that he had no intentions of running for re-election in 2016. Therefore he needs no campaign dollars from America’s least favorite source, Mr. Adelson. Immediately, Texas Holdem fans breathed a huge sigh of relief, but it didn’t last long. Now, with mere months left in office, Sen. Reid still has the capability to cut the cord of online Texas Holdem fans across the nation, especially Delaware, Nevada and New Jersey. Residents of those states are already enjoying a regulated online poker market; one that could be wiped away if Reid decides to bat for the other team, swinging his considerable political clout in the direction of RAWA’s passage. Retire in peace with no dirt on his hands or bring the nascent US regulated online gambling industry to its knees? Only Senator Reid can answer that question.